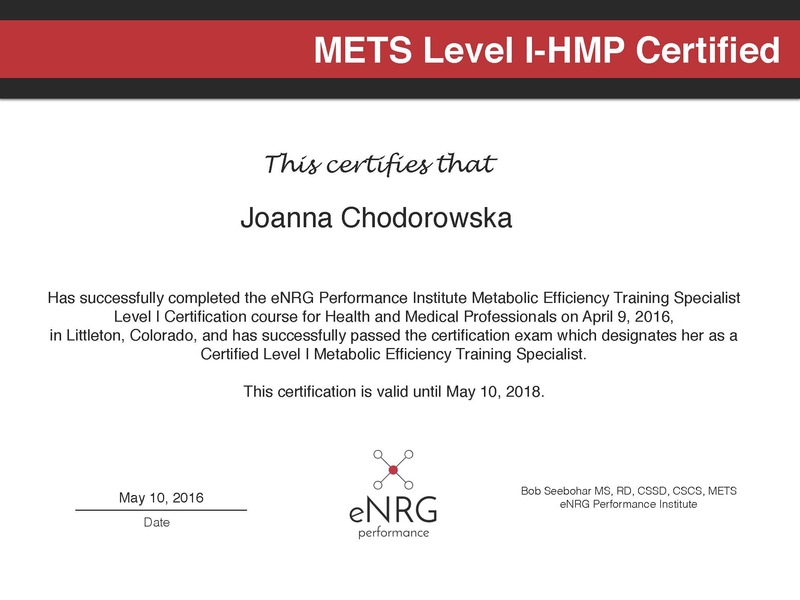 I am officially now a Metabolic Efficiency Training Specialist – Health and Medical Professions (METS I – HMP for short). I first got my notification today via Facebook when I was added to the secret METS group (there are only 40 of us including the creator and instructor), then I got the official email notification with my certificate! Yeah! I was nervous sending in the exam as I needed 90% or better to pass. So I prayed while I was typing the written test asking for Divine assistance. I am so excited to have passed and with a 95%! Tears of joy! No, really it does. I studied a long time for this! 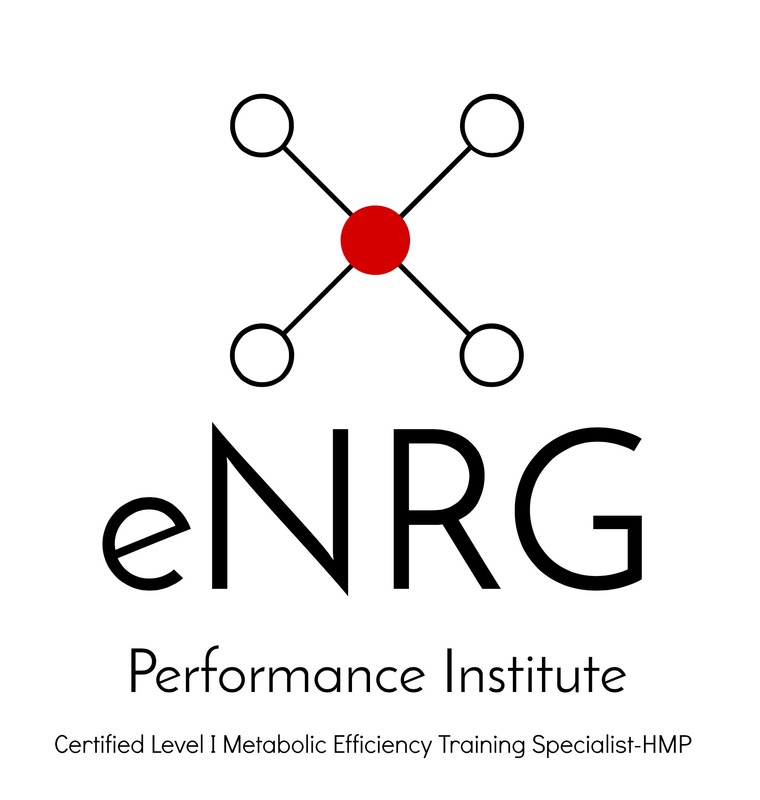 This METS I – HMP certification provides me with more tools I can use to help my clients (you) and athletes to improve their blood sugar management, and help them use fat stores for fuel rather than sugar stores. It means, as you burn more fat stores, you need fewer calories while racing and training. Fewer calories needed means you don’t need to eat as many calories from sugary sources. This also means lower risk of GI distress in races due to eating too much! This is what I have been doing for years. But now I have a few more tools to use, and this allows me to partner with Michael Ross at The Performance Lab in Bryn Mawr, PA to perform the Metabolic Cart testing on a treadmill or bike trainer. This Metabolic Cart tests many things, but for me, I look for where your body is burning fat compared to sugar as the speed increases. There is a point where the two cross over. Depending on where the points are, I can determine if you burn sugar stores for fuel (you only have 1200-2000 grams of these) or if you burn fat stores (you have almost 60-80,00 grams stored – so this is preferred!). Based on your results, I can then map out a nutrition plan to move this “point” to where you want it to be – burning fat not sugar stores. Yes, you can do this with nutrition manipulation – balanced meals, lower carbs/ higher fat and a few other techniques to be leaner. Now I just have more ways to do what I do. And you have a test you can take to measure it! This will now be part of the Sports Nutrition package choices listed here.